Dru's Super Lair Playset has everything you need to rule the world and the sound activation buttons will let you relive all the excitement from the movie. 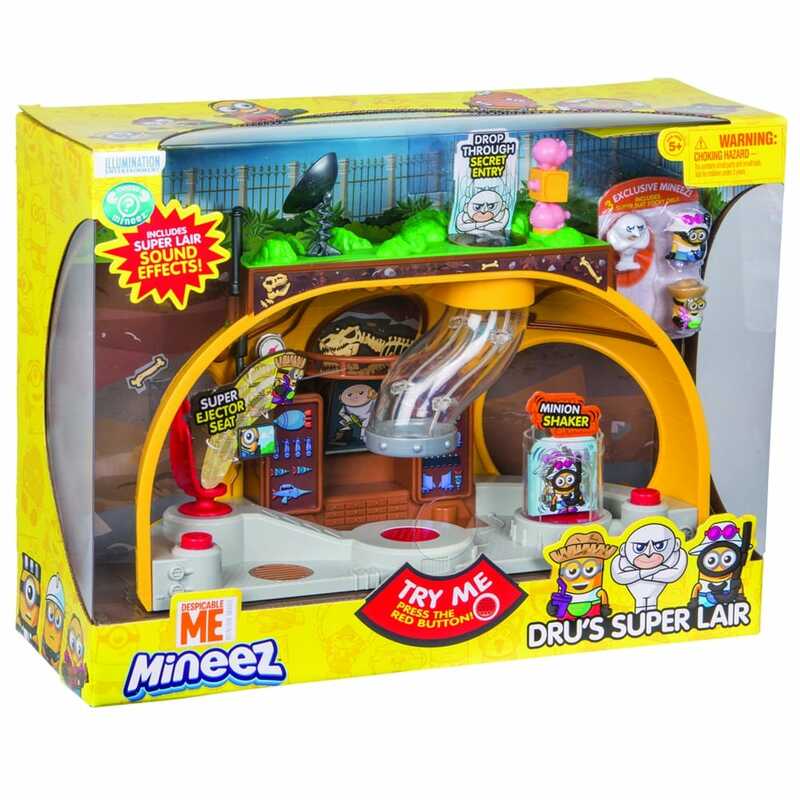 The Super Evil Lair playset includes 3 exclusive Mineez figures and is packed with some awesome fun features. Shoot mega fart bombs from the cannon, watch Minions fly across the lair from the ejector seat or launch them from the satellite dish. These are just some of the fun features in the lair.